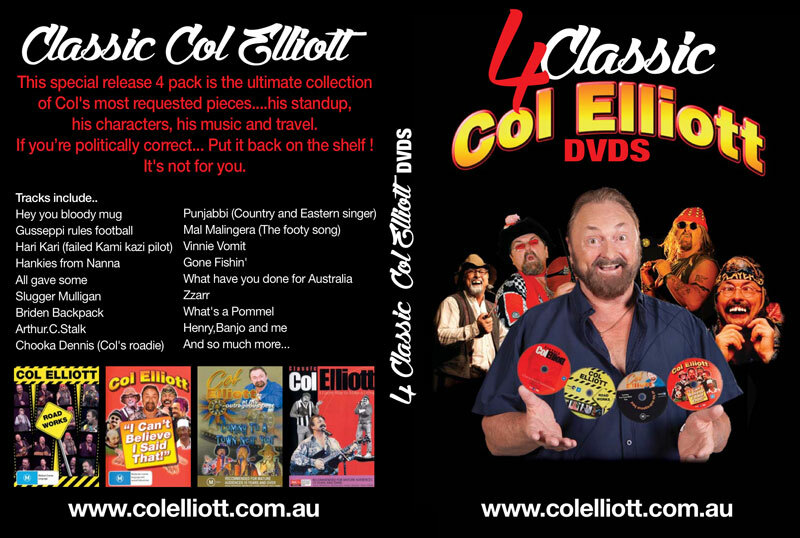 You can purchase many of Col's Dvd's,CD's and personally autographed memorabilia by simply emailing "cassiezorko@gmail.com" or using our Buy Now Button below. 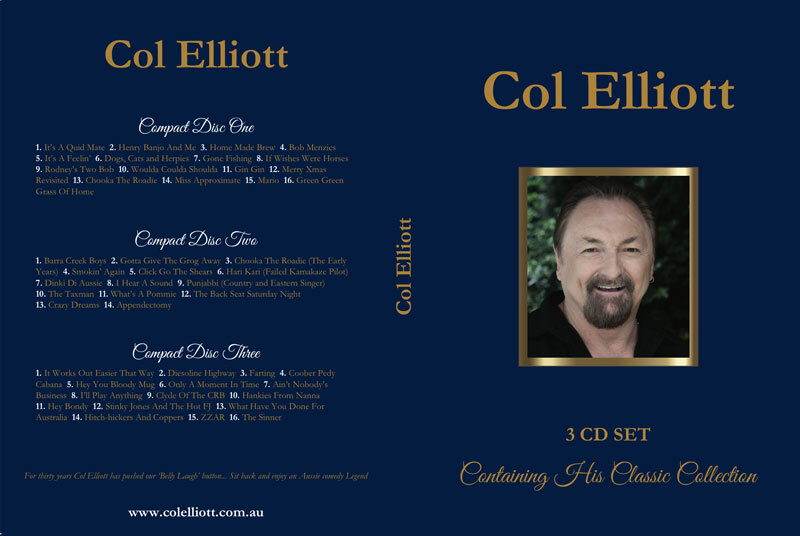 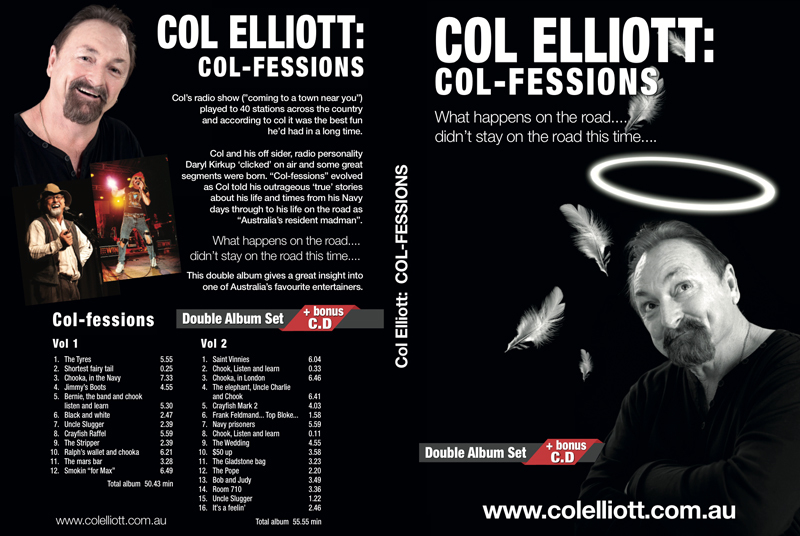 Please view below a great selection of Col Elliott Book, CD's and DVd's for purchase. 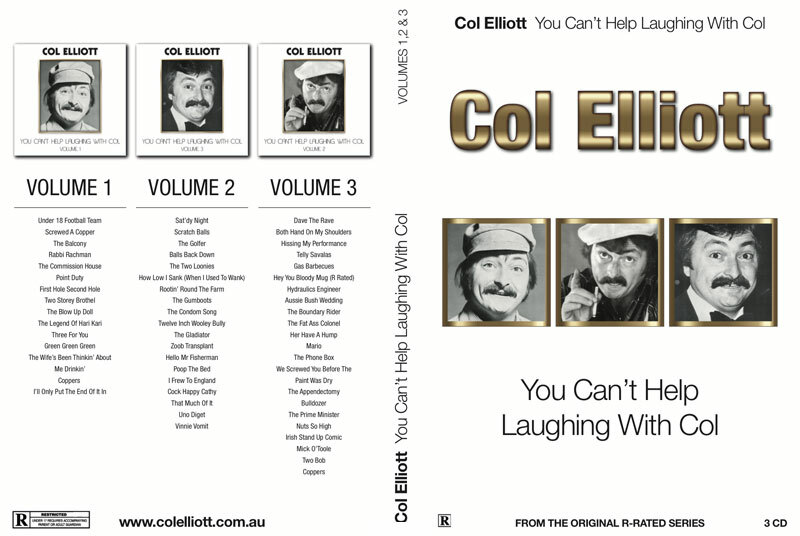 "You Can't Help Laughing With Co"